Is your diabetic medicine increasing your risk for breast cancer? When it comes to women’s health, one of the most commonly discussed topics is breast cancer. So much research energy and funding has been poured into this important issue in the last few decades that it seems as though we’re seeing new findings and connections released almost weekly. While some of these findings report only correlations at early stages, these correlations can provide guidance for future research and for our lifestyle choices. It’s especially exciting to me when the correlations link two diseases. That tells me that by attacking one area, we can often help shield ourselves from more than one significant health issue. Research recently presented at the 10th European Breast Cancer Conference is reporting on a connection between breast cancer and another health nemesis: diabetes. We’ve known about the diabetes/breast cancer connection for some time. But this information gives us more ways to prevent both issues. 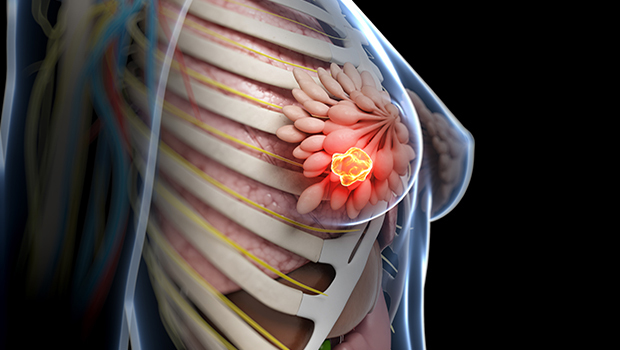 As you may know, one significant risk factor for breast cancer is having dense breasts. In fact, women who have more than 75% density in their breasts are four to six times more likely to develop breast cancer than those who have under 25% density. But what you may not know is that the density of your breasts can change depending on a number of factors. One of those factors seems to be insulin. According to a study in Denmark of 5,644 women, 3,180 of whom had either mixed or dense breasts, women who had diabetes were actually slightly less likely to have mixed or dense breasts. But when they further segmented the diabetic group, an interesting finding emerged. Those who controlled their diabetes with either diet or medication did indeed have less-dense breasts. But those who used insulin injections were actually more likely to have mixed or dense breasts, regardless of menopausal status or body mass index. Because insulin is critical in the growth of our cells, it’s highly likely that it contributes to breast density. In fact, it could possibly even contribute to cancer-cell development. The researchers plan to continue following up with the women to see if there’s a link between different diabetes treatments and their actual breast cancer risk, not just the density of their breasts. Because we already know that dense breasts are linked to breast cancer, this line of research suggests to me that by avoiding the need for insulin injections, we can at least avoid increasing our breast cancer risk. To do that, you must keep your blood sugar in check. Advanced Bionutritionals Advanced Blood Sugar Formula can help. It’s full of nutrients that will help you maintain proper blood sugar levels and normal insulin sensitivity. If you are interested in a preventative tool – this formula is it.